Purchase individual elements of the Fitting Words curriculum (for example, an extra Student Workbook) on this page. Click HERE to return to the main Fitting Words page to purchase as a bundle. The Fitting Words student textbook is a beautifully arranged hardback with single-column pages and wide margins. More than 100 original illustrations enliven the text with a classical and simple style that is pleasant to the eye. 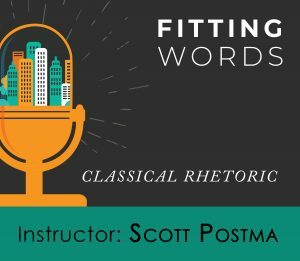 With 30 lessons arranged around the five canons of rhetoric, it also covers the six parts of a discourse, the three modes of persuasion, and much more. 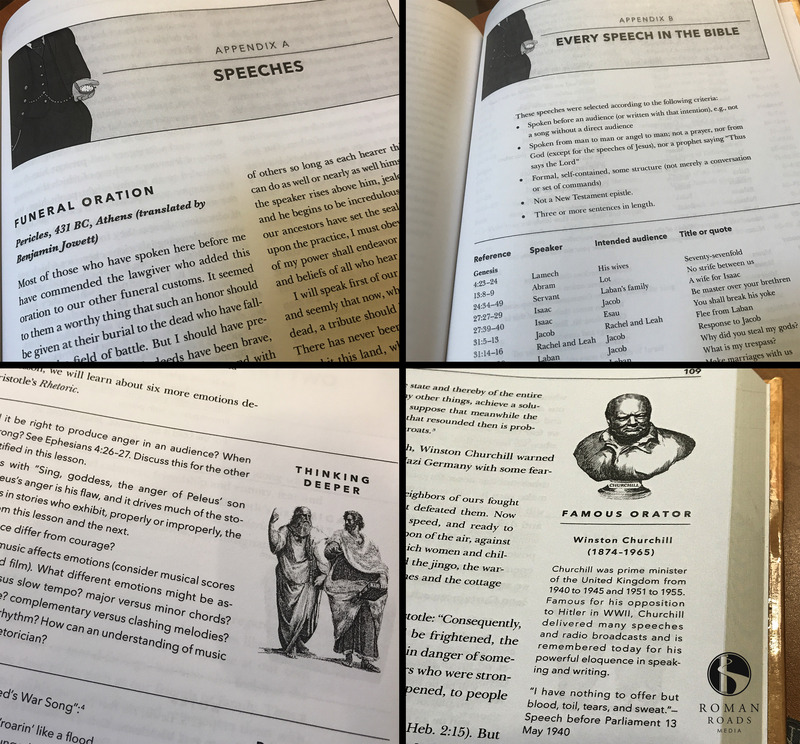 Scores of great speeches, ancient, modern and biblical, illustrate the concepts throughout the text, with 12 primary examples reproduced in full in the back of the text, along with an appendix identifying every speech in the Bible. This complete curriculum is packed with resources, while maintaining a clean and beautiful design. 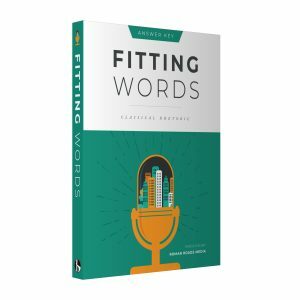 Want to preview Fitting Words Textbook? 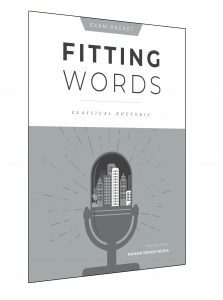 Download Fitting Words Textbook Sample PDF. 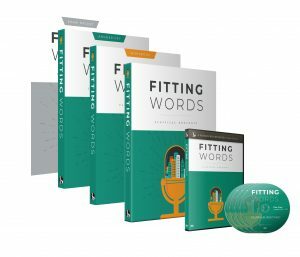 The Fitting Words Workbook includes exercises for each of the 30 lessons covered in the Fitting Words curriculum. Several lessons include two exercises. 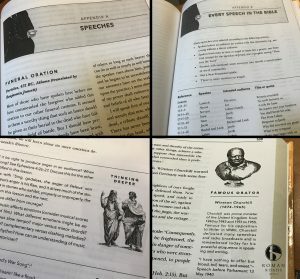 Also included are speech judging sheets identical to those in the Exam Pack, which the students may use to evaluate themselves as they practice the required speeches. This consumable workbook is distinct from the textbook, and is to be completed by the students as they work through the lessons. 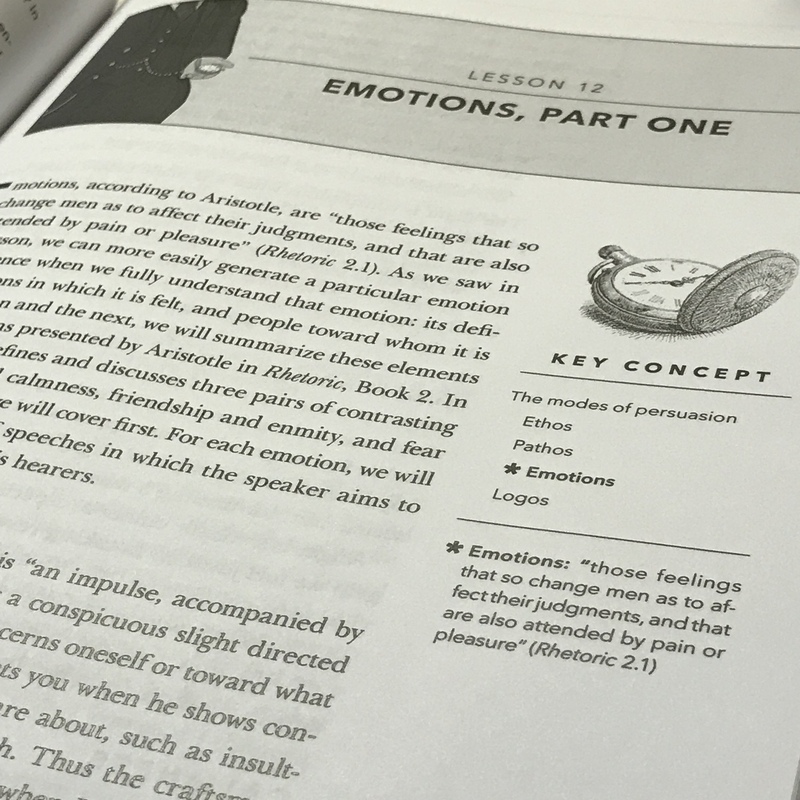 Want to preview the Workbook? Download the Workbook Sample PDF. The Fitting Words Answer Key includes answers to all the exercises and exams covered in the Fitting Words curriculum. The Answer Key layout matches the layout of the exercises and exams for ease of grading. Point suggestions are given [in brackets] for the exams. Also included are suggested one- and two-year course schedules. Download the Answer Key Sample PDF. 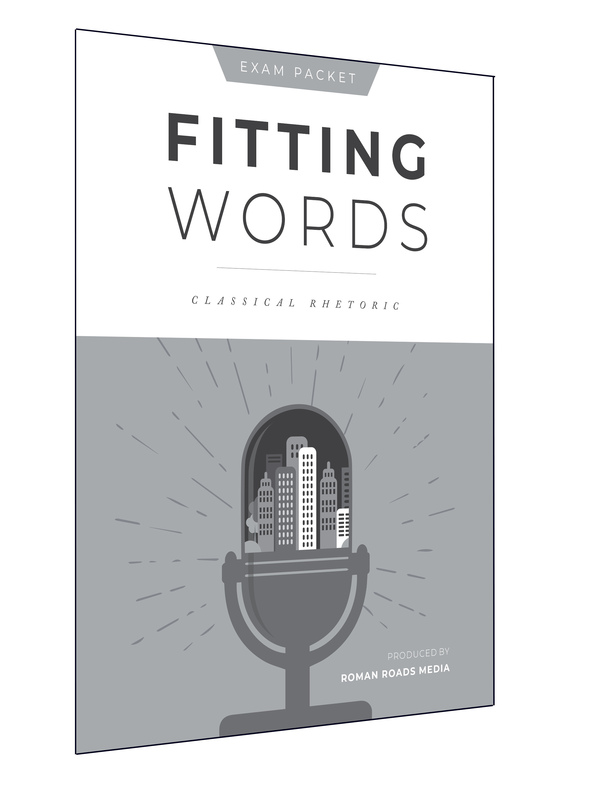 The Fitting Words Exam Pack is a looseleaf packet containing nine exams covering all the major concepts from the course. Also included are test review sheets and speech judging sheets. 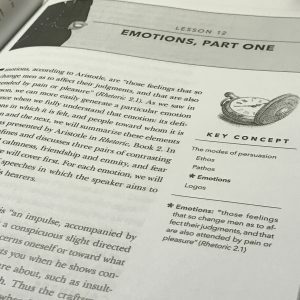 Want to preview the Exam Pack? Download the Exam Pack Preview PDF HERE.